Run the Windmill installer (setup.exe) and install the Windmill software. At the end of installation the ConfIML program will run. 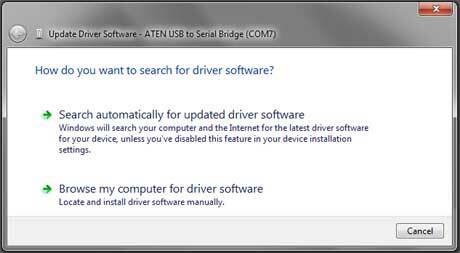 Connect your USB devices, for example Microlink 75x, Microlink 770 or Microlink 3000, as detailed in their user manuals. From the Windows Start menu select Control Panel and choose Devices and Printers. Right-click on the Unknown device and select Properties. Go to the Hardware tab and choose the Properties button there. If you receive a Windows security message, choose "Install this software anyway". Once installed the green light will come on on your hardware device, indicating the device is ready for use. In the ConfIML program, make any selections necessary with your hardware. See the ConfIML Help or the Windows with "your Hardware" Manual for more details.